Defining moments of history often leave images that linger on in collective memory for generations. Among them, one category is the image of a leader walking in the street with a sense of sheer triumphalism. The people of Paris erupted with joy and gave vent to their suppressed emotions when Charles De Gaulle walked on the street to reclaim France’s freedom towards the end of World War II in 1944. But there is hardly any precedent of a head of the state walking behind the hearse – for over four miles, in sultry, hot weather – to pay respects to his mentor and predecessor. Narendra Modi leading the funeral procession of former prime minister Atal Bihari Vajpayee is bound to go down in history as an extraordinary event for a different reason. Instead of triumphalism, this walk was a profound expression of sorrow, tinged with a sense of irreparable loss. It was a spur-of-the-moment decision. Just when the hearse was about to leave the BJP headquarters on the afternoon of August 17, Modi asked officers of the special protection group (SPG) about arrangements. “Sir, the carcade is ready,” an SPG official replied. “Let it come. I will walk behind the hearse,” was his spontaneous response, stunning the security officers into silence. There was frantic activity to throw a protection ring around the prime minister. Some ministers followed him and those who couldn’t, boarded their official vehicles to reach the funeral venue. Modi did not insist on anyone following him – a fact that underlines it was his own personal gesture towards the departed leader. And as the funeral pyre was lit, it reminded us of the transience of human life, but then Vajpayee’s memories came flooding in to reinforce the belief in an individual’s ability to bend the arc of history. What he achieved in his lifespan was nothing short of catalysing a profound creative disruption in India’s politics as well as society. Those who remember him for his large heartedness, statesmanship, genial ways and wit are missing the wood for the trees. He indeed had those admirable qualities. But those are only some of the many facets of his personality. What is more important is that his story is coterminous with the journey of a political force which had begun tentatively but, towards the end of his life, established itself as the principal political force of the nation. This journey would have taken a different turn if there was no Vajpayee. How did this happen? Let me recount certain events to emphasise the criticality of Vajpayee in shaping a politics that saw the advent of the BJP as the main party, edging out the Congress. There were trying times when one faltering step from Vajpayee would have been fatal. But his genius was exceptional. He knew how to win people estranged by circumstances. If you have any doubt, savour this story: It was just another winter morning in 2001 when home minister LK Advani was preparing to leave his Pandara Park residence for North Block and about to board his official car when his wife, Kamla Advani, came and said, “Atal-ji has just called.” Advani thought the call was meant for him. But she corrected him, “Vajpayee-ji has called me to say that he will come to our home for lunch tomorrow.” As was his wont, Advani looked at her pensively and left for the office. In those days, the media was rife with speculation about differences between the two top leaders over the handling of the Jammu and Kashmir issue and vesting Brajesh Mishra with the twin powerful posts of principal secretary to PM and national security advisor (NSA). Rumours were rife that the two stalwarts were rarely talking to each other. In the past, Vajpayee visiting the Advani household had hardly been news. He was extremely fond of food cooked by Mrs Advani. But this time the message was different. The tension between the offices of the prime minister and the home minister was quite palpable in the corridors of power. And that had been taking a toll on governance. No doubt, the story of differences between Vajpayee and Advani was also fuelled by a section of vested interests that was quite active to take advantage of the possible rift. Vajpayee’s way of re-emphasising the unique bond he shared not only with Advani but also with his family. The camaraderie of over five decades was strong enough not to let trifles affect their relations. The lunch lasted for over three hours in which everything was washed down with a good amount of Sindhi delicacies. The underlying message was that Vajpayee would never let his ego or prestige come in the way of the larger good of society. 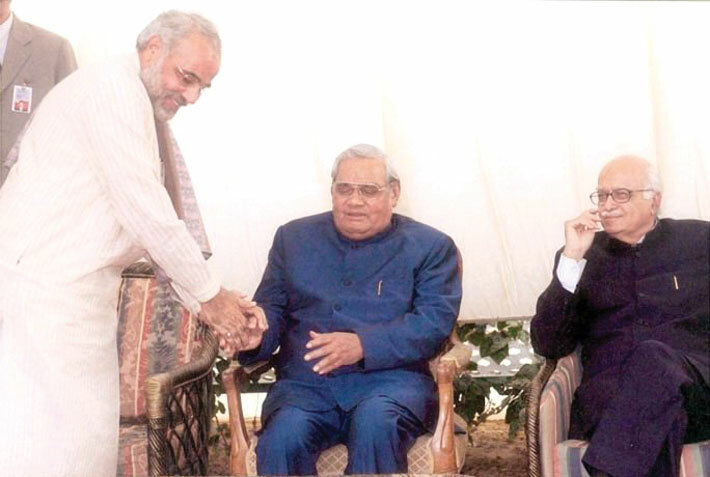 Vajpayee’s gesture got huge media attention then as he was heading the government and Advani was the powerful number 2. But there are umpteen instances of Vajpayee sacrificing his personal ambitions for his party. Right since 1957 when he entered parliament for the first time as a Bharatiya Jana Sangh (BJS) member, he endeared himself to stalwarts of those times by his sheer eloquence and tenacity. Unlike some English-speaking political elites of those times, Vajpayee was a gifted orator in Hindi. His dhoti-wearing demeanour, giving a clear impression of his being rooted to the ground, was a perfect counter to the elites who used to speak in clipped English accents on account of their foreign education and the hangover of the British Raj. And it will not be an exaggeration to say that Vajpayee, in his mentor Deendayal Upadhyaya’s estimation, emerged more like another Nehru, endowed with unique charm and charisma but deeply rooted in Indian culture. In a fledgling party like the BJS, he had the potential of emerging as a foil to the legacy of the Congress, completely devoid of Anglo-Saxon cultural context. Though at its nascent stage the BJS was helmed by an extremely articulate and anglicised Syama Prasad Mookerjee, RSS apparatchiks who gradually controlled the organisation through their fulltime workers were always sceptical of any anglophile leadership inherited from pre-independent India. Upadhyaya died in 1968 under mysterious circumstances, much before he could fully articulate the party’s intellectual objectives, though he defined the BJS’s ideological contours by aligning with iconoclast socialist Ram Manohar Lohia and propounding a guiding philosophy of ‘integral humanism’ that moderated the image of a party steeped in Hindu orthodoxy bordering on communalism. Balraj Madhok, another promising leader, found the BJS’s veering towards the issues of social justice and egalitarianism, like support to the abolition of zamindari, as an inexorable deviation from the party’s original ideological position. Within three years of Upadhyaya’s death, he drifted apart from the BJS and was sacked. Vajpayee negotiated political and ideological landmines quite sagaciously and eventually emerged as ‘the right man in the right place’. He did not believe in political untouchability and befriended political notables across the ideological spectrum. Vajpayee had a unique flexibility that conformed to the Indian genius, especially his predilection for the Madhyam Marg (the middle path). He was blamed for letting the mobs run riot outside parliament after a rally organised by a group of Hindu saints on the issue of cow protection in 1966, yet he persuaded his party to become a part of the grand coalition against the Congress. Though extremely deft at dealing with contradictions, he gradually took the BJS towards a path that was conciliatory and conformist in order to expand its base. In the 1970s he began a long and arduous journey in which he found company in Advani. In Indian political life, this friendship is singularly unparalleled. The duo created a rare jugalbandi, complementing perfectly each other’s strengths and weaknesses depending on the circumstances – without letting personal ambitions come in the way as usually happens in such relationships. Advani often recounts this story with humorous panache while describing the growth of the BJS and its successor, the Bharatiya Janata Party (BJP): after helming the BJS for four years since 1968, Vajpayee was keen to pass the baton on to a worthy colleague to take the party forward. The question was who should succeed Vajpayee. Vajpayee and Advani with other senior colleagues initially identified the party’s vice president Bhai Mahavir as the successor. In fact, at Vajpayee’s insistence, Bhai Mahavir presided over the Bhagalpur national executive of the party which was to take up critical and free analysis as the BJS had fared badly in the 1971 general election after the India-Pakistan war. So Bhai Mahavir was considered the natural choice. Though Bhai Mahavir initially agreed to take up the assignment, he developed cold feet after consulting his wife and family members. Then Vajpayee and Advani requested Vijaya Raje Scindia, known as the Rajmata (the queen mother) of Gwalior, who had defied the pro-Indira Gandhi wave and won a Lok Sabha seat from Madhya Pradesh, to become the president. Needless to say, she also declined the offer. So, with the 1973 BJS national executive in Kanpur, Advani began his innings as the party president – but not without controversy. He sacked Madhok who had been taking potshots at Vajpayee and his politics for some years. Thus began the cementing of a camaraderie that lasted for decades. Just as in 1973, when Vajpayee was succeeded by Advani, Vajpayee once again relinquished his presidentship (now of the BJP) in favour of Advani in 1986. The context was eerily similar. After Indira Gandhi’s assassination, Rajiv Gandhi rode on the sympathy wave and decimated the whole opposition in the 1984 Lok Sabha elections. 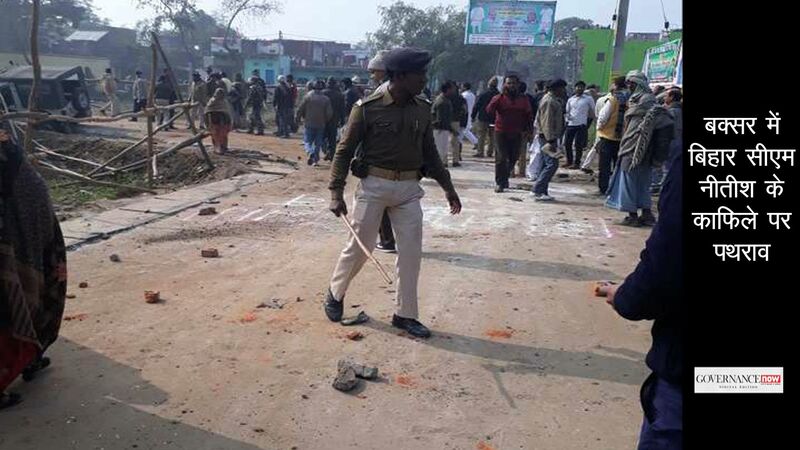 The BJP, a new party formed after the BJS parted ways with the imploding Janata Party, had won only two seats in the country. And Vajpayee readily accepted the blame for the debacle and proposed to undergo the punishment that the party deemed fit. The proposition was outright rejected. However, an internal assessment carried out by a team of leaders led by KL Sharma concluded that Vajpayee’s efforts to steer the party towards Gandhian socialism as the guiding philosophy be replaced by Deendayal Upadhyaya’s ‘integral humanism’. Other suggestions included focussing on ‘robust nationalism’ and ‘positive secularism’. Of course, ‘Gandhian socialism’ was not discarded altogether but retained to maintain the key tenets of the Gandhian philosophy – social justice and equality – as essential to the party’s core philosophy. With the induction of some powerful pracharaks like KN Govindacharya, Advani began a unique political experiment. Without diluting the inclusive characteristic that the party had acquired during the Janata Party experiment, Advani focused on organisation building. He roped in notable personalities from outside the Sangh Parivar’s fold and also inducted young RSS pracharaks like Narendra Modi in 1986. Interestingly, Advani was much guided by a profound political thesis on the Sangh Parivar, titled “The transformation of an ideological movement into an aggregative party”, by American scholar Hampton Thomson Davey Jr. The scholar argued that without losing its ideological foundation, the BJP could expand its base only by aggregating different sections of society. From 1986 to 1993, the BJP’s focus on strengthening its ideological base by launching the Rath Yatra saw the marginalisation of Vajpayee as the prominent face of the party. Though Advani hogged the limelight, he never let Vajpayee play second fiddle. In one of the interviews, he told me, “I always considered him my senior and was in awe of him.” That they shared a unique bond can be explained by none other than Govindacharya who mediated between Advani and RSS leader Bhaurao Deoras in order to persuade Advani to accept the post of the leader of opposition in the Lok Sabha in 1991. Advani was insisting that the post should go to Vajpayee as he had enough experience at his command to do justice to it. Advani became the LoP but resigned after the demolition of the Babri mosque and Vajpayee took over from him. In the 1993 national executive at Goa, Advani surprised everyone, including the top brass of the RSS, by announcing Vajpayee’s name as the BJP’s prime ministerial candidate in the next elections. Unlike the decision-making process in the Sangh Parivar, which requires wider consultations within the ideological brotherhood, Advani’s unilateral decision was prompted by his own political understanding. “In India, only an inclusive personality like Vajpayee could lead the nation,” Advani later explained. In several candid conversations, Advani explained that his relations with Vajpayee were not of “competition” but of collaboration. He always looked at him as a senior whose words needed to be respected. In Indian political history, the Atal-Advani camaraderie remains unique. Together they created a solid foundation for the BJP, which achieved new heights in the 2014 Lok Sabha polls – with a younger leader at the helm. Modi shared a deep emotional relationship with Vajpayee right from his days as an RSS pracharak. The glimpse of this relation was evident when a collection of Modi’s poems was released by Vajpayee in 1999 at Panchvati in the PM’s residence. “I am learning poetry under the tutelage of Vajpayee-ji by clutching on to his finger (Ungli pakadkar chalna seekh raha hun),” Modi had said while eulogising his leader. Vajpayee also responded in kind. Few know that the decision to send Modi to Gujarat as the chief minister in October 2001 was taken by Vajpayee and only grudgingly endorsed by his number two, Advani. In fact, there had been uneasiness in the central leadership over Gujarat getting prominence in the news for all the wrong reasons. Chief minister Keshubhai Patel had proved himself thoroughly inept in handling the administration. There were reports of nepotism and corruption all around. More seriously, his handling of the aftermath of the massive earthquake that rocked the state in 2001, particularly the Kutch region, came in for heavy criticism. Vajpayee was especially irked at the situation though Patel was considered to be close to Advani. However, post-earthquake Gujarat proved to be politically too volatile. Given Modi’s popularity among the party’s cadre and his performance as the party’s general secretary, he emerged as the consensus choice in the party’s central leadership. Since Vajpayee was quite keen to install him as chief minister, everybody else fell in line. Modi’s elevation as the chief minister of Gujarat needs to be seen in the context of his relationship with Vajpayee in the past. In 1986 when Modi made the transition from the RSS to the BJP, he had soon acquired the status of a decisive strongman as the party’s general secretary (organisation) in Gujarat. Having won the Ahmedabad municipal elections against all odds and successfully strategising the BJP’s victory in 1990 in the state assembly election in alliance with Chimanbhai Patel, Modi had already acquired a tall stature in a short time. 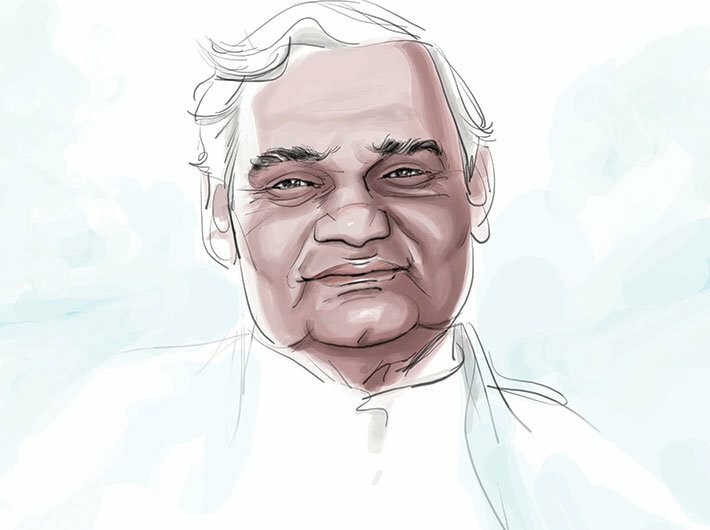 In all these years, he closely interacted with Vajpayee and learnt the art of politics and oratory that connected with the masses. Modi was one with Vajpayee on the issue of reservation for the socially underprivileged. In the early and mid-1980s, Gujarat had been simmering with caste divides as the anti-reservation stir had turned violent at some places. Vajpayee steadfastly favoured reservation and in a meeting he said, “Even if God tells me to do away with the reservation, I will never do it.” The BJP insulated itself from the stir as it turned into communal violence in Ahmedabad. In 1985, Ahmedabad reeled under communal violence for over six months during the stint of Madhavsinh Solanki as chief minister. 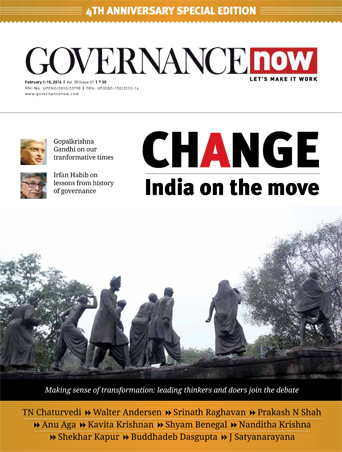 Modi as a new entrant in power politics closely watched Vajpayee’s moves and learnt from him. But Vajpayee’s most critical intervention in Modi’s career came when Shankarsinh Vaghela revolted against Keshubhai Patel in 1995 and demanded that Modi, the party general secretary, be shunted out of the state. Vajpayee who mediated between the warring factions grudgingly agreed to this condition. Modi was exiled from his own state – only to return as the chief minister in 2001, again at the instance of Vajpayee. Of course, Vajpayee directly or indirectly shaped Modi’s political career. And Modi was astute enough to build on the legacy of Vajpayee who combined flexibility in his personality without losing his ideological mooring and commitment to the party. True, Vajpayee wanted Modi to resign after the 2002 communal riots in Gujarat. But he withdrew the moment he knew that any such move would not be taken well by the party cadre. He was particularly peeved with the inept handling of the situation but never let his personal view come in conflict with the party’s ideological position. After losing the Lok Sabha election in 2004, Vajpayee is believed to have realised the limitations of old politics and his own falling health. As CM and then as PM, Modi has borrowed largely from Vajpayee’s skills of negotiating contradictions within the ideological parivar while retaining his popularity among the masses. In essence, he has expanded Vajpayee’s political legacy by building a robust organisational structure for the BJP, roping in allies without compromising the BJP’s organic expansion. And at the same time he has captured the popular imagination. When Modi walked behind the hearse in the unbearable heat, it was not only a silent tribute to the leader whose legacy he was furthering; it was also a determined attempt to build an unparalleled political icon in Atal Bihari Vajpayee. Modi knows better than most that, contrary to the Sangh Parivar’s ethos of not deifying individuals, a party needs its own towering icons to define its political and ideological compass in future.